Another day, another Central Asian precipitation study finds a link to solar activity | Watts Up With That? From Sun and Liu 2012: all of the deep solar minima of the last millennium (Oort, Wolf, Spörer, Maunder and Dalton) correspond to periods of drought in the Qilian Mountains of the northeastern Tibetan Plateau according to this tree-ring study. Like the Central Asian precipitation study that Anthony posted about yesterday, this one also comes via a review by “Cold Sun” authors Sebastian Lüning and Fritz Vahrenholt, as translated by Pierre Gosselin. The Great Drought occurred during a weak period of solar activity, the so-called Spörer Minimum, which occurred from 1420 to 1570. Interestingly, almost all other periods of drought occurred during times of solar minima, among them the Oort Minimum, Wolf Minimum, Maunder Minimum and Dalton Minimum. Every time the sun goes into a slumber for a few decades, the rains on the Tibetan Plateau stay away. A frequency analysis of precipitation curves also delivers evidence on solar cycles. Here the Gleissberg Cycle (60-120 year period) and the Suess/de Vries Cycle (180-220 years) are seen in the datasets. Yesterday’s study, which also looked at the Tibetan Plateau but about 1400 kilometers to the west, found the opposite relation, with “Bond events” (episodes of ice rafting in the North Atlantic, which Bond identified with periods of low solar activity), corresponding to periods of higher humidity (colder and wetter) in the Taklamakan Desert. The two studies taken together seem to suggest a solar driven shift in weather patterns. Is this support for Stephen Wilde’s theory about high solar activity pushing the polar jet stream northward? Any significant change in the jet stream would likely cause its latitudinal waves to shift as well, so even though the two Tibetan sites are at the same latitude, it is plausible that rainfall in the two locations could be oppositely affected by the sun. In general, if solar activity is by any mechanism a powerful driver of climate then corresponding changes in weather patterns would seem to be unavoidable. This would account both for the high number of studies that find solar signals in paleo-climate proxies and for the difficulty in fitting these studies together into a larger picture. Maybe with enough more precipitation studies at enough locations a coherent map of fluctuating weather patterns will emerge. Are there enough old Coastal Redwoods to do tree ring studies up and down a thousand miles of Pacific coast? If Redwood rings correlate well with precipitation, that could be a good place to look for shifting weather patterns. Has this already been done? 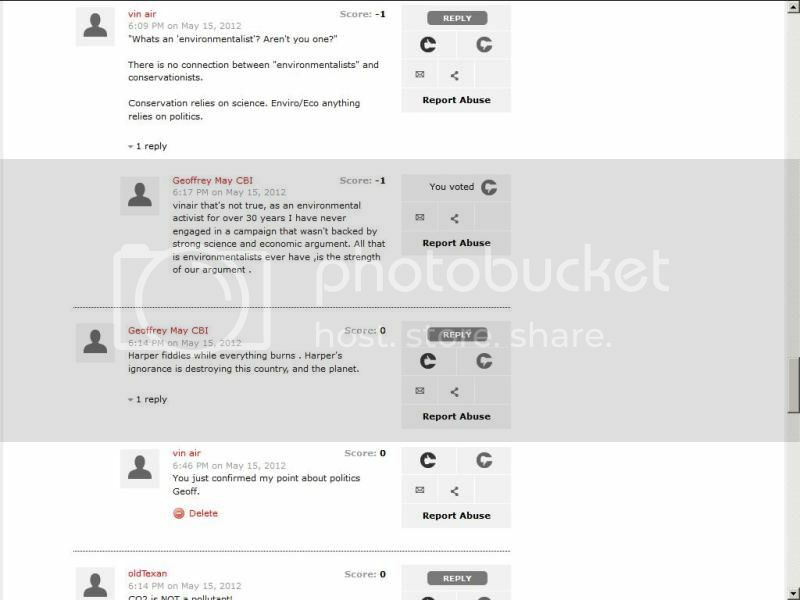 The Save the Redwoods group claims to be compiling their own such database now. Maybe it will show something. On the difficulty of finding simple relationships, note that the correlation Sun and Liu found between solar activity and precipitation in the Qilian Mountains goes wobbly over the last dozen decades. If the correspondence between low solar activity and dry weather at this location is real then it seems that the 1900 lull in solar activity was not deep enough to trigger the changed weather pattern. Precipitation was actually high across the 1900-lull, then was below average in the 1940s, 50s and 60s when the sun was particularly active. It’s a reminder to take the remarkable coincidence between precipitation and deep solar minima in the Qilian Mountains with a grain of salt. In any one location the relationship between climate and weather is going to be noisy, which not only can obscure real relationships but can also point to false ones. Still, the evidence for a powerful solar driver of climate keeps piling up. This is a genuine question, how can they tell the difference between “periods of higher humidity (colder and wetter) in the Taklamakan Desert” and “periods of drought in the Qilian Mountains” and the the conditions in Yamal also said to affect tree growth or lack of? If finding signs of the known-to-be-powerful solar influences is this complex, then it may prove impossible to ever find the ‘greenhouse signal’, since the truth of CO2 ‘forcing’ is that a doubling only requires an 0.66K temperature rise over the rest of the thermal IR spectrum, and that’s only for all other factors held constant, and, of course, equilibrium. It’s clear that a truly global signal of 1deg c would definitely be detectable by an honest surface-temperature network, if by that you mean everywhere the mean goes up about a degree. No fair if 10% of the Earth warms 10 deg and the rest does nothing. And that’s present climate with an ideal network. Good luck with paleoclimate. Thank goodness that science is being done in China. Also, good to see a positive reference to Stephen Wilde’s theory. Not that it is necessarily correct, but at least the possibility is being considered. Next step is to see if there is anything that can ‘prove’ it, though I suspect that it is one of several processes at work including Svensmark’s GCRs/clouds, and Roy Spencer’s oceans/clouds. What a unique finding. My 7th Grade science teacher, Ms Savage, would be proud that her section on weather included what she thought had been known for many years, that solar radiation has a significant effect on global temperature. Also, good to see a positive reference to Stephen Wilde’s theory. Yes, as I’ve said to Stephen before he should get his name on one or more such publications so there are journal references to his theory for citation – perhaps there is one, I have not seen it. Even climate scientists say the Sun drives the climate. Their CO2 backradiation argument still requires the so-called solar constant of TSI to maintain the “base” climate temperature no matter how they spin it – the real discussion is what that base is, does it vary and is the solar constant really constant ? My interpretation is they have the “base” wrong, YES and NO. There is an implied criticism regarding correlation of solar maxima/minima with events in the climate record. Surely relatively small changes in solar radiation into a system as large as the Earth’s climate system are going to require a fairly long time span to work their way through. Perhaps we’ve become too much of a cake eat it now culture. A wee bit off topic, but some people just don’t get it. Is this support for Stephen Wilde’s theory about high solar activity pushing the polar jet stream northward? This looks to me like a monsoon intensity effect. Basically the strength of the Monsoon is determined by the amount of solar insolation in central Asia. More sunshine -> more intense summer low pressure -> more rain bearing air drawn in from the south. It also explains colder and wetter in the Taklamakan Desert. Almost no Monsoon rain falls in this area because of the rain shadow from the mountains to the south. But if the Monsoon is weak, the low pressure systems that move west to east track further south bringing cloud and some rain to the area. And in the 20th century the relationship broke down due to cloud seeding anthropogenic aerosols (changes in) affecting the strength of the Monsoon. Just slipping in again with the possibility that ionization directly controls plant growth, especially conifers. (I’m calling this the Shepardson effect.) It would be the most elegant explanation, which seems like a pretty good reason for studying it……. This looks spurious to me. Sure, tree ring width is “correlated” with precipitation (though at only 50%, I have to use that term loosely. But it’s ALSO correlated with TEMPERATURE (which is what MOST of the tree ring studies, at least by the Hockey Team, count on). Neither is anywhere near perfect correlation, because it’s not possible to separate the two effects in the historical record. But point is, if tree ring width was larger when the sun was more active, and smaller when the sun was less active, then the MOST LIKELY connection between solar activity and tree ring width is temperature, not precipitation. Especially since we KNOW (through the use of other proxies) that temperatures were low during the Dalton, Maunder, Oort, Wolff, and Sporer minima, and we’re only 50% sure that precipitation was low during those periods. I’ve criticized Mann, Briffa, and the other dendro-chronolarmists for ignoring the non-temperature determinants of tree ring width. It would be intellectually dishonest to withhold criticism of these authors for ignoring the non-precipitation determinants of tree-ring width, just because the results are more favorable for the skeptics. This paper is, in my opinion, just as worthless as Mann’s and Briffa’s tree ring temperature reconstructions. I like how trees are either thermometers or rain gauges, seemingly upon the whim of the researcher involved. To the credit of the authors of this paper, they did explicitly calculate and report the precipitation to ring width correlation of about 50%. The precipitation calibration was from 1958 to 2004. The period when anthropogenic aerosol changes were the greatest. Which indicates the pre-1950 correlation might be better than 50%. Since tree ring widths – like all plant matter on earth using photosynthesis – vary definitely and proportionality with the levels of CO2 in the air (at least until CO2 is saturated w/r tree growth!) … we still need to see how the “classic” dendrochronologists back-correct their measured tree ring widths for the rising CO2 levels found since the 1959 measurements began. Not implying that the “reverse growth” (the late 20th century “decline in temperatures” that seems to so frustrated the CAGW dendro-crowd) is caused by a false CO2-level correction, or no CO2-level correction at all) but these guys haven’t displayed much original throught in anything else they’ve ever published either. So, the weak sun makes it both wetter and more dry. 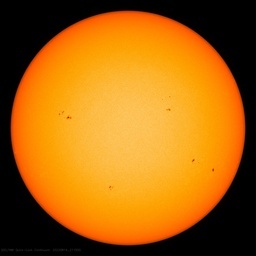 and fewer sunspots means more GCR which means more clouds, but both wetter and dryer. Notice the paper say nothing about GHGs. Go figure, it is possible for the sun and ghgs and aerosols to effect the climate. Note: if small changes in the sun drive the climate, sensitivity has to be high. In any case It would be nice to see what “some association” means, mathematically. A tree ring (Sabina przewalskii Kom.) based millennial precipitation reconstruction on the south slope of the middle Qilian Mountains in the northeastern margin of Tibetan Plateau, China, was completed, which explains 48.5% of the variance in the instrumental precipitation from 1958 to 2004. The long-term precipitation variation patterns were confirmed on the basis of the duration, magnitude, and intensify of the multidecadal dry (wet) events. There are several stronger multidecadal dry periods, 1092–1172, 1441–1517, and 1564–1730, whereas there is only one outstanding severe wet event of 1352–1440. The variations of the precipitation reconstruction are accordant with the glacier accumulation and dust contents of Dunde ice core and also with the variations of the precipitation, runoff, Palmer Drought Severity Index, and tree ring width series in the northeastern Tibetan Plateau. The spatial extent of the great drought in the latter half of the 15th century also concentrated on the northeastern Tibetan Plateau. The moisture variations in the northeastern Tibetan Plateau are synchronous over a large spatial and temporal range in multidecadal scale for the last millennium, especially during dry periods. Wavelet analyses and comparisons with the minimal solar activity show that the precipitation variations for the last millennium may have some association with the solar activity on multidecadal to centennial scales. So much evidence… …so little time. Rivers in Western Canada (the Athabasca, the North Saskatchewan, etc.) exhibit a cyclical flow – as I recall, warmer is dryer (lower river flow). Pacific salmon runs are (again from memory) much stronger in cooler weather, and decline sharply in warm periods. We recently had a near-record salmon run, after decades of decline. Evidence from many sources seems to be building, to indicate we are entering a global cooling period – we’ll see. I just don’t have the time to chase this data any more. Regrettably, those that are funded to do so seem to be programmed to fabricate evidence of global warming, even though there has been no global warming for 10-15 years! Mind you, they’d have to leave the Church of Gore and the House of Hansen, and all the financial and social benefits of being on the cutting edge of BS. We are constantly told that CO2 manages this feat. The monsoon is a regional scale phenomena that produces precipitation in different locations and by a different physical mechanism than the global scale west to east low pressure systems. The relative strength of these 2 processes at any given location will affect the amount of precipitation. A more plausible explanation than the CO2 one. If the Forcings Model is correct. If not, then the Forcings Model concept of sensitivity has no meaning. I love the way you guys lose your skepticism and embracing your inner confirmation bias. BTW, anybody ask these guys for their code and data? You make some very good points. Goose, gander, and all that. >…Almost no Monsoon rain falls in this area because of the rain shadow from the mountains to the south. But if the Monsoon is weak, the low pressure systems that move west to east track further south bringing cloud and some rain to the area. Pardon for asking but do can you point to any evidence that cloud seeding and anthropogenic aerosols have been so large in magnitude as to cause regional climate change in this manner? I ask because it implies a really high sensitivity to those two factors. I have always viewed the rather ‘convenient’ aerosol explanation of 1940-1975 cooling as wildly inflated. The inverse of cloud seeding, contrails from jet fuel burning aircraft on a much larger scale seem to have much less influence so I am on the lookout for factual support for the seeding/aerosol arguments. The formation of the monsoon is partly understood and I have my doubts that human activity can be shown to affect it even slightly. I am sure you are aware of the arguments that have been provoked between farmers over who stole whose clouds in a drought. As there is much larger scale recent Chinese cloud seeding (routine) is there perhaps current evidence of a current ‘broken relationship’ because of it? about roughly three feet into a tree. to use in this study. limitation or bias in the tree ring databases from the word “go”. Check out the distribution of ice in the most recent (Wisconsin) glacial. The jet streams must surely have been at average closer to the equator, but the ice didn’t just descend evenly with latitude, it projected far further south in eastern North America (yeah, Wisconsin) and eastern Eurasia. Of course, this had a lot to do with the marine effect in the westerlies, but nevertheless a pronounced longitudinal oscillation is clear. The effects of cooling or warming on precipitation and drought are not simple. It is not even clear whether warming or cooling will produce the greater latitudinal gradient. Aggregation criteria affect spatiotemporal pattern, so with ongoing differential shifting of atmospheric & oceanic layers, reliable vision hinges on awareness of global constraints. The Indian government has recently started to take an interest in the aerosol – monsoon relationship. Its not as simple as more aerosols/particulates cause more/less precipitation, but preliminary results indicate aerosols cause less rain in rain shadow areas. Although I think in western China, Soviet era agricultural practices in central Asia were more significant; more dust from the drying of the Aral Sea, ploughing the Kazhak steppes and similar, plus some contribution from industrial pollution. As I mention above, solar insolation drives the monsoon process, and aerosols reduce solar insolation, both directly and by cloud seeding. Are these effects large enough to cause the breakdown in the 20th C precipitation – solar relationship in the study above? I don’t know, but it would appear they could be a significant contributor. And the models agree that aerosols suppress the monsoon. Actually, and this the bull in the china shop, one cannot denigrate dendrochronology as a climate indicator without realizing this study proves nothing. Just as Briffa’s analysis is simply idiotic. Tree rings prove much more of an indicator of a fertile or sterile environment then a temperamental indicator. Let the botanists sort out tree rings. Unfortunately they are also given to voicing panic because it helps them preserve ecosystems. I just wish people would just do what is environmentally correct and stop this nonsense. Some time ago I looked at the one of the more accurate precipitation records, 150 years long data set for Oxford, UK; there was reduction 1890-1920 corresponding to decreased solar activity at the time, but again similar reduction occurred in the1980s-90s when the solar output was high. However one more interesting aspect is a very strong 43 year repetition pattern not known in the SSN. Only if it is the tiny changes in TSI that are driving climate. For such a miniscule forcing to account for observed temperature changes climate sensitivity would have to be so high as to make climate highly unstable. Any volcano would send us into a glaciation. After all, the variation in TSI is estimated to provide 1/40th the temperature forcing of changes in CO2 over the past 150 years. (That’s from AR5). But nobody who is looking at a solar explanation for global temperature variation is thinking that the main actor is TSI. They are hypothesizing much larger forcing effects, as might come from changes in the amount of clouds, as in Svensmark’s GCR-cloud theory, or from the UV-shift, as with Stephen Wilde’s ozone/jet-stream theory. Such mechanisms sometimes get called “solar amplification mechanisms,” but that is a misnomer. The forcing effects that are hypothesized are indeed a substantial multiple of the forcing effect of TSI, but they do not come from amplifying TSI. They work through other channels entirely. A better term would probably be to call these “indirect solar effects,” rather than amplifying mechanisms. The indirect solar hypotheses allow that these forcings themselves may be large, not needing to be multiplied up in order to account for observed warming. It doesn’t take much of a change in clouds to have a huge effect on radiative forcing (as compared to forcing from changes in TSI and CO2). So no, a solar driver of climate does NOT imply high climate sensitivity. Good comment Alex. The “high sensitivity” (should have been defined as “climate sensitivity to solar variance”) statement was wrong, but I had no time to reply and you did a better job anyway. Further, if solar variation is a primary driver of global temperature, directly or indirectly, then climate sensitivity to CO2 should be quite low, and we can toss out all the nonsense and data fabrication about aerosols causing the cooling from ~1940-1975, and the fabricated aerosol data being used to force every climate model to hindcast with greater (phony) coherence to actual measurements. Furthermore, we can toss out all the nonsense about increased atmospheric CO2 causing catastrophic global warming. And finally, we can toss out all the scoundrels and imbeciles who have caused our society to squander a trillion dollars of scarce global resources on their false global warming scare. What we have is high climate sensitivity but in a NEGATIVE direction. A strong negative response gives a very stable, INSENSITIVE system as regards total energy content for the system. Instead of a change in system energy content one sees instead a redistribution of energy within the system causing changes in energy flow rates through the system. The change in flow rates and the concomitant circulation changes needed to deal with the thermal attributes of human sourced CO2 is miniscule compared to that observed routinely from the system response to solar and oceanic variations. The circulation changes from MWP to LIA and LIA to date involved latitudinal distances of 1000 miles or so. Any shift from human CO2 would be indiscernible. When confronted with this finding our resident solar scientist, checked the data, and finally concluded that ‘correlation must be spurious’, which plainly is most unlikely. Geomagnetic effects directly impacts Circumpolar current flow, the primary pump of the world’s oceanic conveyor belt , by induction process of telluric currents, well known to the geophysists . Very interesting but take he Chinese studies w/ a grain of salt too. After all, it is also possible for Chinese scientists to be politically influenced by what their gov’t wants to believe as well. Maybe their grants are awarded to look for non-GHG explanations. Used to be we would be much more suspicious about non-western science and communist science than that from the West. It indicates no such thing. The pre-1950 correlation is just as likely to be worse. The calibration period is ALSO the period of greatest CO2 fertilization, and that works in the opposite direction from aerosols. A good regression model would account for ALL the explanatory variables so their effects could be isolated. But it doesn’t look like the authors here did that. I suspect they just did a basic, bivariate, OLS regression, because proving the correlation between tree ring width and precipitation wasn’t the point. They more or less ASSUMED the correlation was there, based on a cursory nod to a simple regression model with WEAK correlation, then set about proving that rainfall must have decreased during solar minimal, even though the more obvious cause of decreased tree ring width during those periods was the KNOWN (not supposed because of a weak correlation) temperature decrease during the solar minimal. I am going to toss in this study from India on monsoons since they are south of the area under discussion and Stephen Wilde has come up. Solar influence on the intensity of the Indian monsoon is demonstrated using a sediment core from the eastern Arabian Sea dating back to 1200 yr, through pattern matching as well as spectral analysis of proxy records of monsoon and solar activity. The intensity of the Indian monsoon is found to have decreased during periods of solar minima during the last millennium. Periodicities of 200 þ 20, 105 þ 15 and 60 þ 10 yr are observed in the proxy records coinciding with those known for solar cycles. The V60-yr periodicity observed in the instrumental rainfall data appears to be of solar origin and supports the hypothesis of solar control on the Indian monsoon on a multi-decadal time scale. Evidence for the presence of a coupled atmospheric forcing for the Indian and East African monsoons on a centennial time scale is also seen. The result of paleoclimate studies on the relationship between the Indian monsoon and solar activity, inferred from the analysis of stalagmites in Oman, is confirmed by using a modern meteorological dataset from 1958 –1999. The present result suggests that the solar influence on monsoon activity is not due to a change in radiative heating in the troposphere but, rather, originates from the stratosphere through modulation of the upwelling in the equatorial troposphere, which produces a north-south seesaw of convective activity over the Indian Ocean sector during summer. Higher precipitation over Arabia and India, thus, occurs during high solar activity…..
And another study 2005 that pulls a bunch of data together. The large (8%) changes in the past seasonal insolation have a well-documented influence on the Indian summer monsoon. However, the effect of the small (<1%) decade to century scale solar variability is less certain. Evidence is emerging that Earth’s climate is sensitive to small changes in solar output on centennial time scale during the Holocene. Comparison of a recently published proxy record for sunspot activity with our newly-revised higher-resolution record of the Indian summer monsoon winds reveals multiple intervals of weak summer monsoon during the Holocene at multidecadal to centennial scales. Weak summer monsoon winds correlate with reduced solar output. Our results suggest that small changes in solar irradiance can bring pronounced changes in the tropical monsoon. The multidecade to century scale variations in the monsoon winds were much larger in the early Holocene coincident with increased sunspot numbers. There are several more studies of the solar influences on the Indian Monsoon. Since the monsoon is literally life or death to the people of India, this is one area of science they do not play games with. It is too critical. If Stephen Wilde had a multitude of grad student slaves like the Climate Team does, I am sure he could do a vast literature search and pull out the studies already done that would support his theory that the jet stream moves as a result of solar influence. I certainly keep tripping over them and I am not even looking for them. Heck I have seen the evidence of a change in the jet stream pattern in my neck of the woods. I check the pattern at least two or three times a week since an accurate prediction of rain is critical to my business. ….Used to be we would be much more suspicious about non-western science and communist science than that from the West. And that is quite telling a statement is it not. Seems Lysankoism has now infected science the world over. The key difference from my proposal is that I say one can look at the entire globe and describe a pole / equator seesaw in each hemisphere which is responsive to changes in the mix of particles and wavelengths from the sun. Changes in the slope of the height of the tropopause between the equator and poles allows the surface air pressure pattern to slide to and from beneath the tropopause in order to alter the rate of energy flow through the system and thereby maintain the equilibrium temperature in the face of ANY forcing factors. The stratosphere temperature is the key. To get poleward shifting when the sun is active one needs a higher tropopause at the poles which means a cooling stratosphere towards the poles when the sun is more active and that proposition is contrary to current climatology but consistent with recent data concerning a reverse sign solar effect above 45km as noted by Joanna Haigh and others. Two main sources of the Arctic’s polar jet-stream pattern interference are the Icelandic and Aleutian lows. –	Downwelling of warm waters (releasing several hundreds of W/m2 of energy) in the Nortwest Atlantic (south west of Iceland, North Atlantic Drift Current) mainly in the winter affecting Eurasian land mass. –	Upwelling of cold waters near the Aleutian archipelago (North Pacific, Alaska and California currents) affecting North America. Their effect is strongest in the winter months, while insolation is low, and both lows weaken in the summer months as the insolation increases. Here is an article from people who need to know and are in the know (not the MetOffice): http://www.theweatherprediction.com/weatherpapers/077/index.html I recommend a careful read. This is main reason why the most of the CET warming is due to the winters while there were 300 years of flat summers. Just a few minutes ago I found YET ANOTHER way to isolate this pattern (now approaching 3 dozen). The solar-terrestrial-climate weave IS ROBUST. Update your solar-terrestrial-climate narratives TO BE CONSISTENT WITH OBSERVATION. I’m severely short on time & resources, but sensible, serious parties who are actually willing AND ABLE to carry out the calculations are welcome to ask for help. The key difference from my proposal is that I say one can look at the entire globe and describe a pole / equator seesaw in each hemisphere which is responsive to changes in the mix of particles and wavelengths from the sun….. I understand that Stephen, however all of these regional studies can be looked at as concrete data supporting a piece in a jigsaw puzzle and yours as the completed puzzle. That is why I suggest a gaggle of research slaves to put that complex puzzle together as solid data supporting your theory. Steve McIntyre has had no problem getting the data from the Russians and yet can not get the Americans or the Brits to cough up the codes and data. Unfortunately I do not have the computer or statistic skills to follow up on this data from China and India. This seems rather different from my earlier impression of Stephen’s theory. Here he seems to be saying that the shape of the troposphere responds internally as necessary to alter energy flows so as to maintain temperature (a strongly negative temperature feedback). I thought the idea was that the UV shift with high solar activity altered the distribution of ozone in the atmosphere, thereby altering the pattern of atmospheric warming which alters the shape of the troposphere which alters the rate of cloud formation. How do these two fit together? If tropospheric shape and jet stream location respond to adjust energy flows, how can they be driven by solar activity? If they work to maintain temperature, how can solar activity drive temperature? Below van Allen radiation belt is the ionosphere, created when UV radiation from the Sun strips electrons away form the atoms forming ionized plasma. This polarized plasma follows Earth rotation creating horizontal ionospheric currents known as the polar electrojets (magnetic poles) , the equatorial electrojet (magnetic equator). Equatorial electrojet is linked by NASA to the equatorial storms, and is active in the ENSO region. So UV has an effect on the Earth’s climate, not directly but through a complex indirect ionospheric currents and associated geomagnetic effects. Thanks for the extra detail. I’ve left the precise manner in which the solar variations affect the temperature profile of the atmosphere rather vague at the moment because I don’t know enough about the vast range of solar effects up there. However I’m sure that the solar wind and electromagnetic effects have an influence on the way the solar effects are distributed. In particular charged material is always directed to the poles along the magnetic field lines. All we need for the observed effects is differential responses between equator and poles which then gives the required seesaw movement in the atmospheric heights. Thanks to Stephen and Vuc for these clarifications of their ideas. I’ll keep this stuff on my radar screen. Question for Vuc. It seems that the direction in which the telluric currents impel the circumpolar current must not switch when the sun’s polarity switches (every eleven years) or the current would keep shutting down. Does it switch when the earth’s magnetic field flips? The mainstream has falsely assumed uniform modulus of continuity. What do equator-pole temperature-gradient-driven wind-&-water-pumps do on average? ENSO is just a smaller thing that rides on top of all of that. And then the solar cycle just amplifies that a bit (nonuniform modulus of continuity — Mother Earth’s not always equally receptive to Father Sun’s advances — has her own cycles). The “bit” accumulation = small multidecadal variations. There is one big shared feature: THE YEAR. Note particularly how it shows up differently in 200hPa & 850hPa winds. With (a) better community understanding of the concept climatologists call “thermal wind” and (b) stronger community awareness of terrestrial circulatory topology, the discussion CAN advance. It IS possible to translate rate of change of solar cycle length into an equivalent metric that’s far more tangible to folks, but that won’t help people who don’t (a) understand thermal wind and (b) have good awareness of basic circulatory topology. UV has no polarity, so ionospheric events due to UV have no polarity change. Magnetic field of an incoming magnetic storm is either of a north or south orientation, this most often is not much to do with solar polarity at the time. Both polarization buffet magnetosphere, but it is a southward polarization, that will reconnect and geomagnetic storms ensures. Polarity of the income storm often isn’t known until it hits one of the satellites. It has to be remembered that despite total axial current could be of order of billion Amps, only a fraction hits the magnetic poles, on average estimated 0.5 to 1 million Amps, but it is spread over large area. Magnetic induction is strong enough to overcome inertia of a magnetic needle and move it by a degree or two. It could be postulated that similar force may act on each molecule of saline water and vectorialy combine with existing forces. It is not known if this effect is anything more than negligible. Arctic Ocean currents system is complex but well researched. 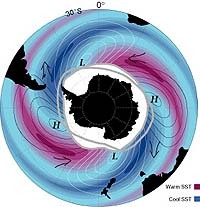 Antarctic’s Circumpolar current (ACC) system was thought to be relatively simple, but that appears not to be the case. If there is coupling between the changes in the Earth’s magnetic field and ACC circulation than it would be bi-directional, but high correlation between solar activity as expressed in the TSI reconstructions and the Antarctic’s MF bi-decadal variability is unlikely to be a coincidence. recently discovered, is also puzzling event. Cautionary Note to Readers: That image is modeled …but certainly Warren White’s interesting work is based on observations …and some investigators are (quietly) exploring a lunisolar-ACW connection. You appear to ignore the fundamental role of thermal wind in terrestrial circulation. Perhaps it’s best for the community this way, since your ideas about mysterious magnetic forces appeal to so many people and help keep them interested. 1. Does the climate affect the geomagnetic field? 2. Does the geomagnetic field affect the climate? 4. Or do the climate & geomagnetic fields just share parallel solar modulation? 5. Through ongoing exploration, can we sufficiently improve our collective awareness to refine this oversimplified stream of questions? The answer to the last question is “Yes”. …And we needn’t answer the other questions today. Probability of affirmative 4 is at least twice as great as for 1 & 2. My very own mother explained this to me when I was 6 years old in 1974 (long before AGW) – that reduced sunspot numbers means less rain in general. I don’t know why they have to continue studying this and come to the same conclusion, excepting in the last remaining days of “climate studies = $$:..